Walt Disney buy 21st Century Fox’s entertainment assets for a total $52.4bn (£39bn). 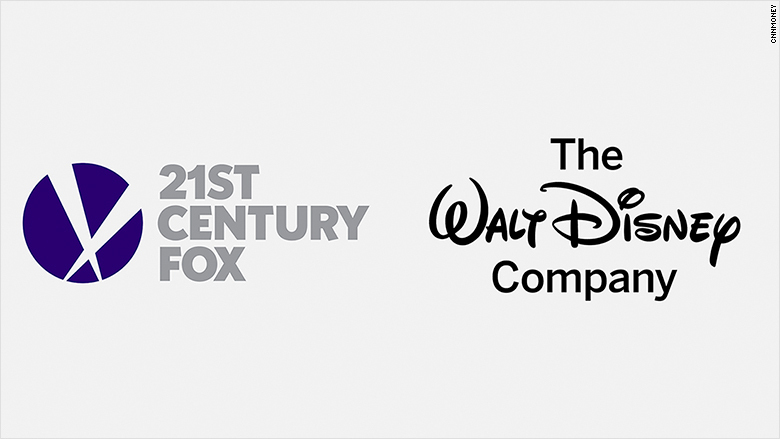 The deal includes Fox’s 39% stake in satellite broadcaster Sky, and the 20th Century Fox film studio, Disney announced. Fox’s remaining assets, including Fox News and Sports, will form a new company. He turned a single Australian newspaper he inherited from his father at the age of 21 into one of the world’s largest news and film empires. Mr Murdoch’s shift to selling assets rather than buying them has come as a surprise to those who expected him to hand over the businesses to his sons, James and Lachlan. Disney will buy the Fox assets for $52.4bn in stock, plus about $13.7bn net debt, leaving the value of the deal at about $66.1bn. It is not clear how the deal will be received by US antitrust regulators. The US Department of Justice recently sued to block AT&T’s $85.4bn deal to buy Time Warner, on the basis that it will raise prices for consumers and competitors. Fox’s proposed deal to buy the remainder of Sky is being already investigated by the UK Competition and Markets Authority (CMA), which is due to publish provisional findings in January. The BBC understands that the Disney deal will not alter that investigation. Disney chief executive Bob Iger will remain in his role until the end of 2021. Fox is selling assets including its FX and National Geographic cable channels and media company Star India. Disney also will buy Fox’s stake in the Hulu video streaming service, giving it majority control of a competitor to Netflix. Hulu is also partially owned by Comcast and Time Warner. The deal will also add to Disney’s huge back catalogue, with high-grossing films such as the original Star Wars movie, Avatar and Deadpool, as well as TV hits including The Simpsons. TV channels: Star India, headquartered in Mumbai, includes dozens of television channels in several languages, including in English and Hindi. Fox Networks Group distributes basic television channels in Mexico, Brazil and other parts of Latin America. The company also has been launching Spanish-language sports programming services throughout Latin America. Other: Fox’s 30% stake, which would give Disney a controlling interest of 60%. Other: Fox owns 39% of Sky, the European satellite TV giant. Fox would like to increase its ownership stake to 100% next year if British regulators approve the transaction.